McMaster’s Canadian Centre for Electron Microscopy is celebrating its 10th anniversary this week by looking forward to the next 10 years. In a day-long workshop called CCEM: The Next 10 Years, the centre will host researchers from around the world to examine the future of microscopy techniques and highlight some of the centre’s upcoming projects. The concept for the CCEM developed in late 2002 and, with the support of more than 100 researchers from 24 universities across Canada and twelve government laboratories, the centre was established in 2004 by McMaster, the Canada Foundation for Innovation, the Ontario Government and FEI Company, which designs and manufactures microscope technology. The centre officially opened its doors in 2008. Now, the centre is known internationally for the range of capabilities and expertise it offers, attracting researchers from more than 35 universities across Canada and around the world, as well as industry and research centres like IBM Research in Zurich. The centre has been involved in a wide range of projects, including working with the Royal Ontario Museum to probe the structure and chemistry of meteorites, the Canadian Nuclear Laboratories to understand the evolution and degradation of alloys used in nuclear power plants, and helping the City of Hamilton assess the integrity of its water infrastructure. 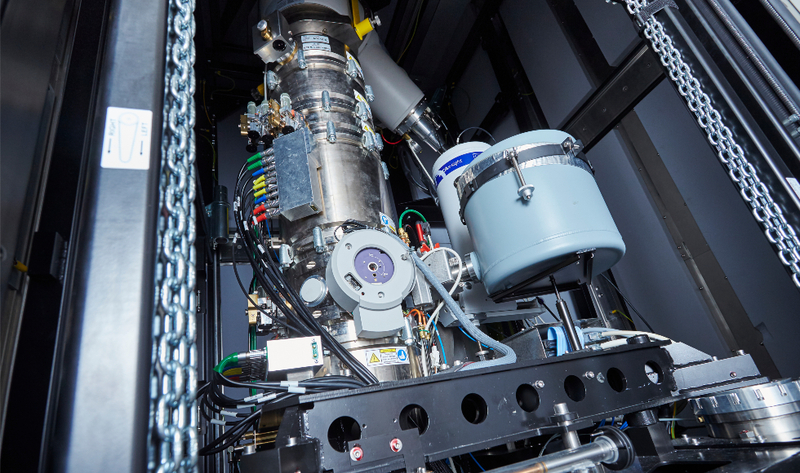 Researchers at the CCEM have worked on fuel cell technology with Ballard Power, the world’s leading provider of clean energy and fuel cells. And they’ve collaborated with chemistry professor Gillian Goward and General Motors to better understand battery materials and how they evolve during repeated charge and discharge processes. The next 10 years promise to be exciting, says Botton, who also holds the Canada Research Chair in the Electron Microscopy of Nanoscale Materials and was recently elected Fellow of the Royal Society of Canada.